Jacoby Chiropractic LLC currently accepts Medicare and motor vehicle accident insurance. Some types of insurance reimburse patients for treatment with out of network providers. Contact your provider for details regarding reimbursement for out of network providers. Otherwise, we do not process insurance. This keeps our overhead low, so our prices are affordable. If you have a Health Savings Account (HSA) or a Flexible Savings Account (FSA) we will provide receipts for reimbursement. Receipts for tax purposes will also be provided on request. Cash, personal checks, and credit cards including VISA, Mastercard and Discover are accepted. 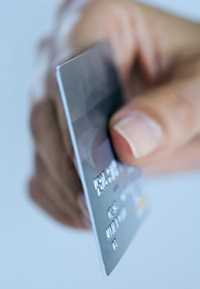 We can also process HSA and FSA debit cards and provide receipts.